The Impending Risks of ICO Accounting: Has avoiding treating Initial Coin Offerings as Equity created a massive liability bubble for issuers? Initial Coin Offerings (ICOs) are gaining significant attention as an innovative way to fund a young company. One only has to look at the hundreds of millions of dollars being raised, sometimes in a matter of minutes. It’s a promising application of blockchain technology that has the potential to dramatically improve the efficiency of capital allocation in the global economy. Given my role as CEO of Loyyal, a network for hosting loyalty, rewards and other incentive programs based on blockchain technology, not a day goes by without someone asking me if we are launching one for ourselves, or more importantly, for our clients. Couple that with my background as a CPA, over 15 years in international banking, and a Certified Blockchain Professional, those same folks along with our clients have come looking for a professional perspective on where this is all leading. As optimistic as Loyyal and myself, in particular, are about the future potential of ICOs, we remain concerned that current accounting approaches towards ICOs are creating a potentially disastrous bubble for companies issuing them. If we are to avoid this disaster at all, we as an industry need to immediately start a more robust dialog around the accounting principles involved and engage the rest of the financial services industry. While the legal risks of ICOs are being actively debated these days with proposals such as SAFTs by Cooley LLP’s Head of Fintech Practice Marco Santori, other than the Chamber of Digital Commerce that has submitted an agenda request to the FASB to consider accounting standards for digital currencies, few people are discussing the accounting risks of ICOs. I having personally reached out to accountants and industry specialists to discuss how ICOs are being accounted for. Surprisingly, not a lot of people are even thinking about it yet. The lack of adequate responses from industry experts and leaders is what inspired this article, with the ultimate goal of finding satisfactory solutions for Loyyal, our clients, as well as any company that already has, or intends to issue or participate in an ICO. Below, I will try to illustrate a number of key issues from an accounting perspective, which hopefully will serve as a framework for the intended dialog. Even with the risks, I remain cautiously optimistic. To paraphrase Jeff Goldblum’s character in Jurassic Park, “Capital finds a way”, and ICOs represent the most innovative new path we have seen in quite some time. Correspondingly, there is growing pressure to make a move into ICOs among our professional and investor circles, particularly given our San Francisco headquarters. Of course, I have a fiduciary responsibility as CEO to our shareholders to examine all current and future potential risks before exposing their capital to anything. Similarly, responsibilities exist towards Loyyal’s clients as well. The legal, regulatory, and accounting uncertainty at this point has kept us on the sidelines for now. The urge to move quickly so as not to “miss the boat” is misguided advice if future legal and regulatory changes are what is setting the boat a-sail in the first place. That same urge is all the riskier given the history of potential regulatory or accounting changes having sometimes being implemented retroactively. One can even imagine a future torrent of lawsuits from investors and ICO purchasers alike looking for recourse from a loss in value, or a company’s insolvency or inability to deliver on the underlying utility represented by the ICO. In my opinion, if ICOs are a good idea now, they will still be a good idea when these risk variables are more clearly defined, and accepted practices addressed and applied. We are to invest our time until then, contributing to the establishment of that improved clarity. Legal recognition: Equity or debt? Generally speaking, current issuers of ICOs want to avoid classification as an equity token as this opens a Pandora’s box of SEC regulatory requirements. This is why ICOs issuers are overwhelmingly designing their ICOs to be utility tokens; one where the token simply defines a pre-paid right to consume an issuer’s goods or services. One common example of this is access to software or an account on a platform. By structuring the ICO in this way the tokens exhibit more deferred revenue-like qualities than equity-like qualities, decreasing the risk of equity security classification by the SEC. One useful analogy is to think of utility tokens as the blockchain tokenization of unsecured, non-interest bearing promissory notes issued in exchange for goods or services (more on this later). Accounting recognition: Revenue or Liability? 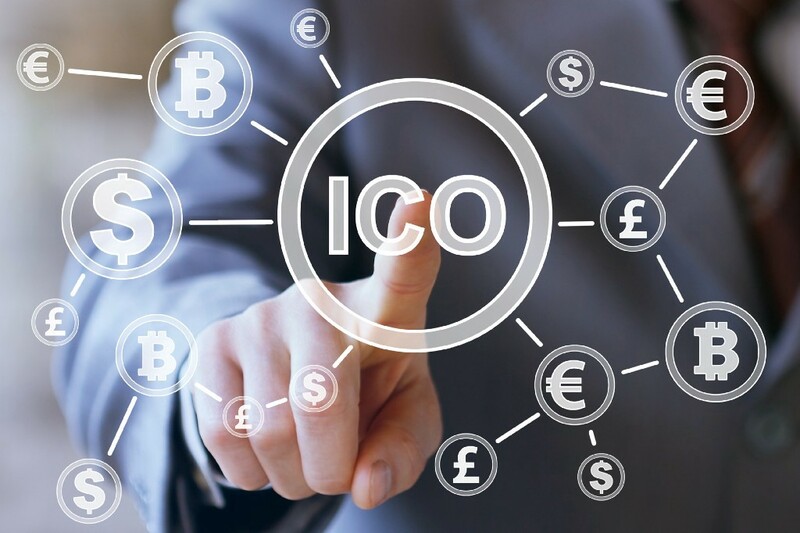 Assuming that ICOs are indeed liability financing rather than equity financing when the ICO is conducted, the exchange of value must be properly recorded on the issuing company’s financial statements. The ledger entry would have an obvious debit to cash for the proceeds received, but what is the credit entry? The golden rule in accounting is the balance sheet must balance, there is always a credit for every offsetting debit. An important objective with issuing of utility token ICOs is to avoid classification of the token as equity. This means a credit to equity is off the table. We are left with only revenue or liability as the ICO credit entry. 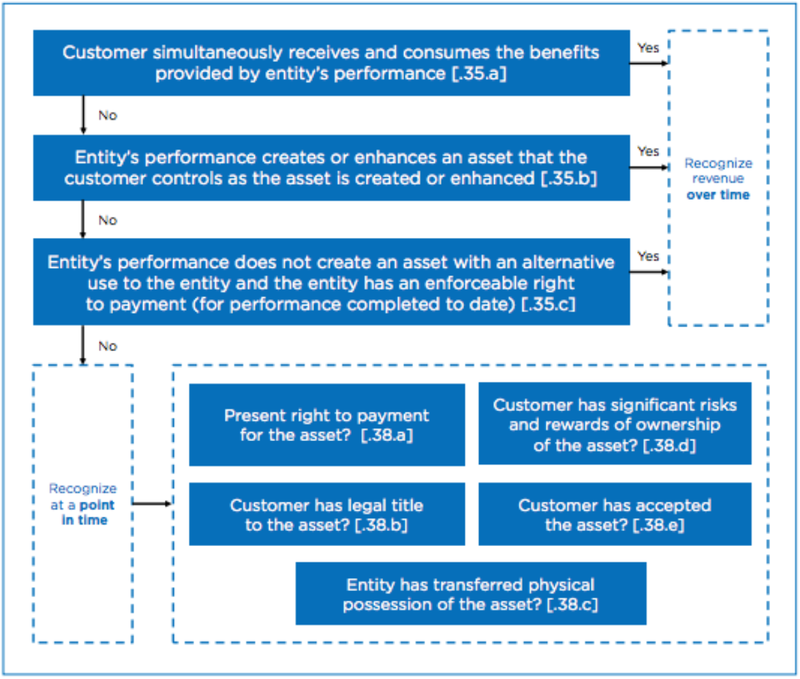 Identify the performance obligations in the contract — The performance obligation can generally be defined as the right to consume the company’s goods or services (in most cases access to software) at some point in the future. If not for steps four and five, we would be done and the ICO can safely be classified as a debit to cash and a credit to revenue. Now that we know the ICO can be classified as revenue, step four tells us when that revenue can actually be recognized on the issuer’s financial statements. Step five is the actual recognition of the revenue at that future point in time. Revenue recognition under IFRS 15 is based on the transfer of control. Control is defined as the ability to direct the use of and obtain substantially all control of, the remaining benefits associated with the asset. The key point is the issuer needs to determine if the transfer of control happens over time. In the above decision tree, we can see a utility token ICO generates a yes response to at least the 2nd question and possibly the 3rd question. Revenue cannot be recognized in full at the time of the ICO sale. It must be recognized over time as the performance obligation is satisfied. This most likely will occur when the token is presented to the issuer for redemption into goods or services, such as granting access to software. It should be noted a company could avoid the need for compliance with IFRS 15 or any other accounting standards by simply remaining a privately held entity. However, it must remain a privately held company and also avoid any future equity investors, clients, business partners, etc. that require an audit of the financial statements. Given the prevalence of M&A as an exit strategy for most young companies, it’s easy to envision the difficulties this could create. Even as a privately held company, Loyyal just completed the tedious and time-consuming task of our first full audit resulting in audited financial statements with an unqualified opinion from an independent auditor. Without it, we would not have secured our Series A lead investor nor will we be able to go to market for the Series B in 2018. In other words, startups need to be aware by issuing an ICO they may be at risk of locking themselves out of business relationships, future strategic equity investors, and acquisition. So far, we know utility token ICOs most likely cannot be recognized as equity or immediate revenue, leaving us with deferring the revenue as a liability as the only remaining option. Let’s now look into the specific accounts and ledger entries required by the ICO issuer to recognize the transactions over time on the financial statements. Example: Company X issues 100M tokens in an ICO on July 1st, 2017. The USD market value at the time of issuance is USD$100M or $1 per token. The token is a utility token redeemable upon demand by the bearer for the company’s software product, when available. The token is listed and trades on exchanges. The effective tax rate is 30%. On December 31st, 2017, the exchange-traded price increased to $10 per token for a total market value of $1B. The company, however, does not yet have the software product available for sale or use as of December 31st, 2017. 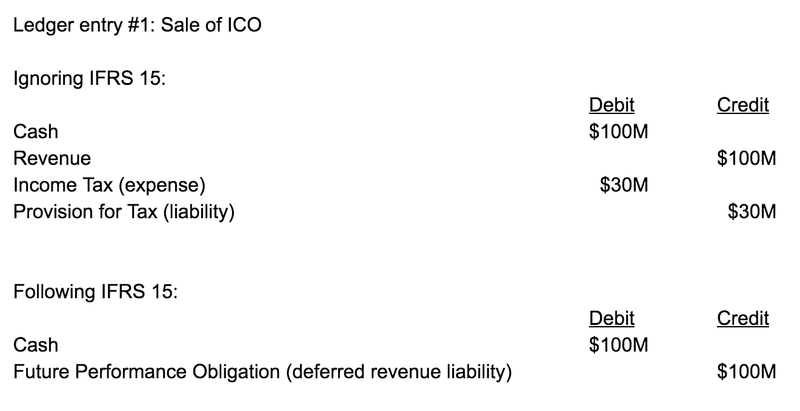 If the issuing company ignores IFRS 15 the ICO results in $100M of cash (assuming cash for this example but it could also be a non-cash asset classification) on $70M of revenue. There is no dilutive impact on capital and therefore the founder’s retain 100% ownership of the entity. Despite losing 30% of the cash raised to income tax, which would not be the case if it were classified as equity financing, this is an attractive scenario for a startup with no product to sell yet and insufficient capital to build it. There is a long history of established companies, with viable products, that never reach this level of accumulated revenue. If the issuing company wants to keep its books structured properly for future potential acquisition or other partnerships, and thus follows IFRS 15, the utility token ICO still results in $100M of cash. However, due to the IFRS 15 requirement to defer revenue until the company’s performance obligation is met, a credit entry to revenue is replaced with a credit entry to a deferred revenue liability account. This still is attractive to the issuing company as it results in no equity dilution and avoids the tax liability. The token is equivalent to an unsecured, non-interest bearing promissory note issued in exchange for goods or services that may or may not exist yet. IFRS 15 requires the liability to be maintained on the balance sheet at the expected cash-equivalent redemption value. Even though the initial ICO value was $100M, due to the increase in market value of the rights-of-redemption, the issuer now is on the hook for honoring the equivalent value of $1B of software sales. The company could theoretically avoid the need for re-valuation if it maintained a policy of valuing the rights-of-redemption at the original $1 per token ICO price regardless of the $10 per token market price at the end of the year in our example. Doing so would limit, if not eliminate, the token market price upside potential. The expectation of a rising token market price post-ICO is one of the primary reasons for doing an ICO in the first place. Following IFRS 15, at this point, we can infer the issuing company should record and carry the future performance obligation liability at the market value of all tokens in existence at any point in time. We can see this is not an attractive scenario for the issuing company. It now is stuck with a $1B liability for which it only received $100M of cash. The $900M increase in the liability is offset by a whopping negative $900M hit to owners equity, as the balance sheet must always balance. It has also effectively given up $900M of sales. That is $900M of lost cash flow. When tokens are redeemed the liability will reverse as revenue but without any tangible consideration received in return. The company is obligated to give away $900M of product for which it will receive nothing in return. How many years or decades would it take for a startup to achieve $900M of accumulated revenue before cash flow turns back on again? However long that is, if the $100M of initial cash is not a long enough runway to get there the company will either have to go to the equity markets to raise capital or sell more tokens. In the former, a balance sheet with a $1B liability, no cash remaining, no product, no cash flow, and no strategic investor relationships, is unlikely to score an attractive valuation with any equity investors. In the latter, more tokens could be issued to cover existing cash requirements or existing tokens resold to the exchanges as soon as the bearer redeems them. This digs the company deeper into the liability hole. It also assumes there remain liquidity and market appetite for more tokens. This scenario would make utility ICOs appear to be nothing more than a variable-principal revolving line of credit. Revolving lines of credit have been around for a long time with relatively more attractive fixed-principals. 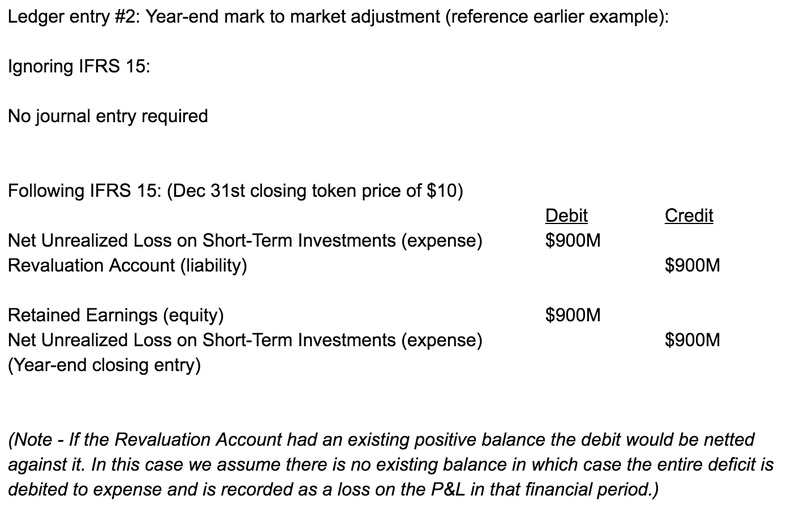 Slightly counter-intuitive, it may be more attractive from an accounting perspective for the issuing company if the market price of the token declines over time rather than increase. As the market price declines the company could use its remaining cash-on-hand from the ICO sale to buy back the tokens at a discount to the original issuance price. Financially speaking the company appears to have a windfall here. 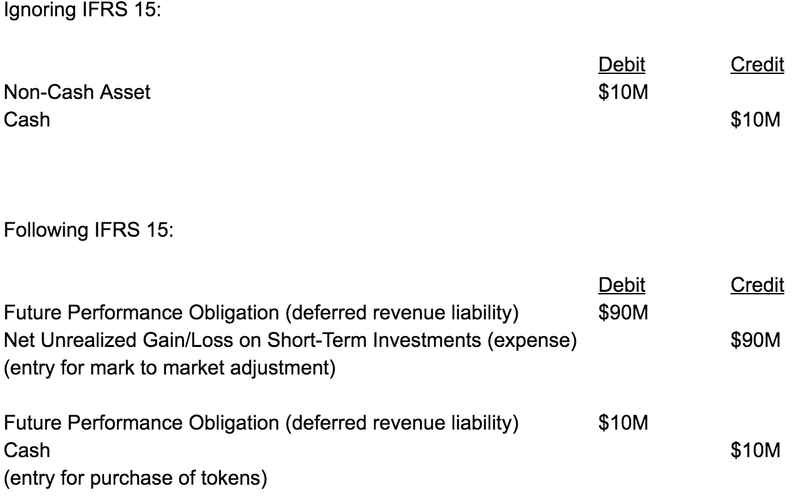 After buying back all of the tokens it reports $90M in revenue and still has $90M of the initial ICO cash proceeds use as it sees fit. It is the equivalent of someone gifting the company $90M of cash wanting nothing in return. Who would not like that! Could this open up new legal risks to the company such as reverse-predatory financing? What if the original issuer’s initial intent was for a market price decline to achieve this scenario? Certainly, a legal topic in need of discussion, if it is not being discussed already. Many ICOs allocate a percentage of minted tokens to founders and employees. This is a creative way to directly finance wages and salaries without the need for cash or traditional financing. At first glance, it can appear to be advantageous to all parties involved. However, this may not be the case. For the founders and employees, tokens are likely to be considered wages and salaries by the IRS and therefore would need to report as taxable income in the year control is received. A percentage of the tokens may need to be sold at the end of the tax year in which control is received to raise the cash required to pay the related tax liability. This will put downward pressure on the token market price as well as create a poor public perception of the very team entrusted to build the software not yet ready for use, possibly eroding confidence as well. The company is incurring a $30M liability without any cash compensation. This should be fine if the payout to employees is in-line with a standard industry salary and wages rate. If the payout is designed to be an inflated windfall over and above the standard industry salary rate, the result is an abnormally high negative impact on the company’s equity valuation. Founders generously gifting large amounts of ICO tokens to employees may find their benevolence comes directly out of their own pocket, reducing their own personal equity valuation to account for the future performance obligation for which no cash compensation will ever be received. In this example, the 20% of ICO tokens issued to founders simultaneously both decreases and increases owners equity at the same time. Such a transaction doesn’t make a lot of sense. One final thought here, if the token is indeed a utility token, redeemable for the company’s goods or services (in this case access to software), why would the company be issuing $30M worth of software access credits to the founders and employees? Can they reasonably be expected to consume such vast volumes of their own software? If not, then the next logical use of these tokens is to sell them on exchanges for cash. Following existing accounting standards, the utility token definition is weakened if the token is issued as employee compensation for wages and salaries, the recipient is not paying cash for the token, and the recipient does not intend to redeem the token for access to software. Some ICOs have been issued using a non-profit foundation established by and independent of the primary company. In many cases, the tokens were sold as legal donations to the non-profit foundation. While this may eliminate the need for the primary company to record a deferred revenue liability at the time of ICO, it creates new challenges. First, if the primary company presents the tokens to the non-profit foundation for settlement into fiat upon receipt, the non-profit foundation now is the entity required to defer revenue in accordance with IFRS 15 and deal with all of the challenges presented above. Second, if that is not the case, then the primary company will have to sell the tokens on exchanges for cash for business operations. If so, there is no clear operational need for a token in the first place. The company could avoid the entire ICO expense altogether by just accepting cash or credit cards instead. In 2015 my company Loyyal did an ICO. The company has since divested the program and all related liability by selling it to a third party. Most people are not aware of this because it was a flop. We learned a lot from that failure but estimate we actually lost money in the process. We had drummed up solid market interest in our business model and marketed it for many months leading up to the ICO. It disappointed for only one reason. I required all participants to go through a KYC identification process. We did not allow for anonymous participation. The decision to do so was based on the ambiguity of the legal and accounting environment at the time, which still largely remains today. First and foremost, we didn’t want it to be classified as an equity security. After sizable legal expenses, we had high confidence we were ok in this regard. Additionally, we were concerned the tokens would be too similar to bearer bonds. Bearer bonds are debt securities that do not require registration of the purchaser or registration when there is a change of ownership. In the past, US Treasuries were issued as bearer bonds and it turns out the anonymity made them attractive for use in financing criminal activity. Large amounts of value could be transferred unnoticed without requiring truckloads of cash. Noticing this, US Congress passed the Tax Equity and Fiscal Responsibility Act of 1982 (TEFRA). TEFRA outlawed any new issuance of bearer bonds in the United States. An example I often have told people was a scenario where North Korea is mining or adopting anonymous-user tokens as a currency of choice. It is being reported now that North Korea is using Bitcoin to avoid international sanctions and continue financing the state’s regime. The ICO token issuing company and anyone who buys, sells, or trades them could potentially be exposing themselves to violating US Anti-Money Laundering/Counter-Terrorist Financing laws. Recent unconfirmed reports claim North Korea is also mining Bitcoin. Transaction fees processed in a block found by a North Korean miner represents a direct financial transaction with North Korea, furthering the AML/CTF risks to users and companies issuing ICOs on public, permissionless blockchains. These risks are solidifying as the US has recently issued an executive order introducing new sanctions that enhance the Treasury Department’s authorities to target any individual or entity that conducts significant trade in goods, services or technology with North Korea. These developments take ICOs with anonymity as an attribute down the path of potentially being determined by authorities to have the same risks as bearer bonds and thus suffer the same fate. If the above is correct, legal risks aside, companies issuing utility ICOs are potentially exposing themselves to significant financial accounting risks. Perhaps startups don’t know much about accounting yet, their lawyers are not advising them to seek a qualified CPA opinion on the proper accounting requirements after the ICO event, or are just ignoring the risks for now to catch a frothy market. Similarly, the CPA community is just getting up to speed on this area. If we want this new corporate market for blockchain technology to grow and thrive we must approach and define it with a prudent foundation that can survive current and future regulatory scrutiny. The risk primarily arises from the need to record the credit side of the journal entry. In double-entry bookkeeping for every debit there must always be a credit. It is a certainty in the accounting world and questioning it an equivalent sin to questioning the existence of gravity among physicists. That certainty has already been broken by blockchain. Public, permissionless chains are in actuality a single-entry bookkeeping eco-system. I wrote about the emergence of this phenomenon last year in this blog post. My thoughts mostly fell on deaf ears as either blasphemy or ignorance. The reality is, though, accounting standards and research efforts need to be adapted to meet the new paradigm brought about by blockchain. This is not a choice, the world has changed and our accounting standards are outdated, holding us back. We need new accounting standards and guidance to facilitate the mainstream adoption of public and private blockchains. By doing so, we will experience the most explosive and unprecedented bull market of economic efficiency growth the world has ever seen. It is an incredibly exciting time to be an accountant. Accounting research is now exciting, controversial and cutting edge! Who knew? We need new regulatory framework protecting blockchain-based tokens and other assets from classification as bearer bond like instruments while preserving the need to contain potential criminal use. We need to address the variable-principal characteristic of tokens and how following current accounting guidance could be fatally toxic to startups, at a time when they are the most vulnerable. Otherwise, we could see a scenario where a startup is technically insolvent before the ICO is even completed! Finally, we need to address anonymity, finding a balance between protection from use by nefarious individuals/organizations and the privacy rights of everyone else. At Loyyal, we have ideas we are working on to help address and solve these issues. My company Loyyal is bullish on blockchain. We see ICOs as an innovative new tool to potentially provide liquidity and greater efficiency to early-stage investor and startup capital markets. This article is intended to expand the public discussion beyond the legal risks into the accounting risks. It is important to help startups from inadvertently falling into fatal strategic decision errors that could cost them their company or worse, personal liability risk piercing the corporate veil. Loyyal is a member of the HyperLedger Project and the Enterprise Ethereum Alliance. We have worked with Ethereum in the past and currently operate on HyperLedger Fabric, as we expand to a multi-ledger protocol environment as a part of our next phase of growth. We broadly support all blockchain initiatives, public or private chain, as we believe a rising tide lifts all boats. As a member of the Chamber of Digital Commerce, we have joined their newly formed Token Alliance. We hope to contribute to the discussion of the above risks and the eventual creation of effective solutions with the appropriate regulatory and oversight agencies. For this blockchain experiment to work, we need the fortitude, for current and future users, to lay a solid foundation from the start. We look forward to you joining the discussion and contributing to the effort of creating an ICO accounting friendly environment.